The GIA Library is delighted to offer this draft of a revised George F. Kunz Bibliography As a foremost gemologist and mineralogist who lived from 1856 to 1932, he was amazingly prolific in writing books and articles on a diverse variety of titles. Some of the intriguing topics are Gems and Precious Stones of North America, Mineral Industry Reports, Missions of California and Bridges of New York. 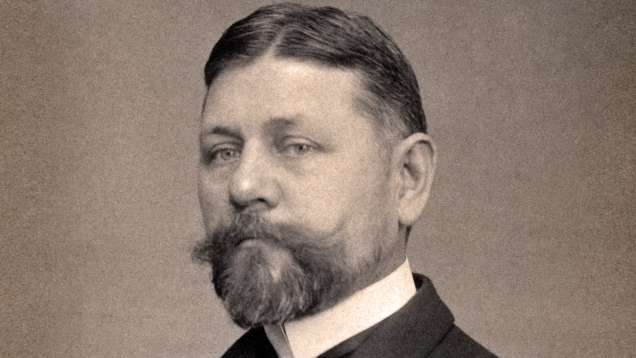 He was Tiffany and Co.’s vice president of gemology from 1879 until his death in 1932. While at Tiffany’s, George Kunz created a set of books for Tiffany and Co. to give each year to its customers: Natal Stones: Sentiments and Superstitions connected [associated] with Precious Stones. There are editions dating from 1891 until 1931. We believe there are 31 editions with total page numbers from 17 to 35. Since there is some confusion on editions, dates, titles, and page numbers, we would like help in creating an accurate list of these. For ease of viewing, we have grouped them together in the bibliography included here.